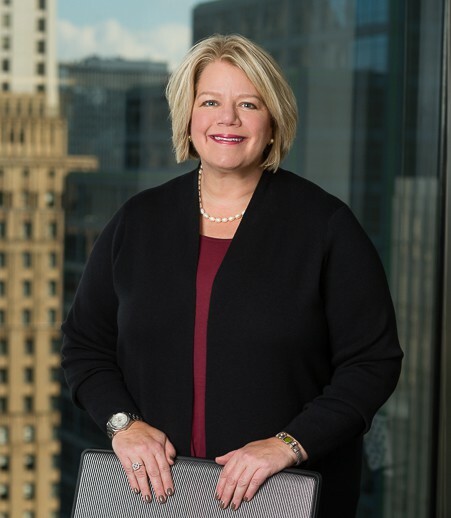 Jayme Matchinski draws on her extensive experience in health and corporate law to help health care companies handle the complex regulatory and operational issues unique to the industry. She assists with compliance, reimbursement, licensure and certification issues affecting health care providers, as well as with the purchase, sale and formation of health care entities. Jayme, the former vice president of a national health care consulting firm, has successfully represented health care providers in reimbursement claims against insurance carriers and the Centers for Medicare and Medicaid Services. She works with physicians and health care systems in the licensure, certification, legal structure and reimbursement structuring of post-acute venues of care, including sleep disorder centers, rehabilitation hospitals and facilities, ambulatory surgery centers, long-term acute care hospitals, skilled nursing facilities, nursing homes and assisted living facilities. She has significant experience in the area of sleep medicine and has written the “Legal Notes” column in A2Zzz Magazine, a publication of the American Association of Sleep Technologists. She covers regulatory, reimbursement, compliance, operational and contract issues that could potentially impact sleep disorder centers. Board of Directors, Volunteer Optometric Services to Humanity (VOSH), Illinois Chapter. Interview with Jayme Matchinski, "Evolution of Healthcare Industry Poses New and Ongoing Compliance Risks in 2019"
Interview with Jayme Matchinski, "As telehealth grows, federal reimbursement needs streamlining"
Interview with Jayme Matchinski, "How to Start a Telehealth Business"
Interview with Jayme Matchinski, "States fail to fully use telemedicine to fight public health crises"
News article, "5 considerations before purchasing a physician practice"
"Legal Issues Related to the Practice of Dental Sleep Medicine"
"The Legal Landscape in Dental Sleep Medicine"
"Key Legal Issues that Health Care Providers Should Consider When Providing Telehealth and Telemedicine"
"Risk Management and Regulatory Compliance for Sleep Centers"
"Legal Update 2018: Audits, Investigations, Enforcement and Regulatory Compliance Issues"
"Structuring Physician Super Groups: Key Regulatory Issues and Challenges"
"Preparing for, Handling and Conducting a Compliance Investigation"
"Legal Issues Related to the Practice of Sleep"
"Audits, Investigations and Enforcement: Regulatory Compliance Issues and How to Avoid Potential Pitfalls"
"Managing Risk in Sleep Centers: Legal Issues and Steps to Take to Avoid Liability"
"Legal Update 2017: Key Issues Which Impact Your Practice"
"The Impact of Social Media and Communications on Sleep Labs"
"Using Education Codes Effectively and Legally in Clinical Sleep Education"
"Practice Management and Regulatory Compliance"
"Ethnic and Gender Issues in the Sleep Lab"
"Accommodating the Disabled Patient in the Sleep Lab"
"Audits, Investigations, and Enforcement: Regulatory Compliance Issues and How to Avoid Potential Pitfalls"
"Regulatory Risk Management in the Sleep Lab"
“Key Regulatory Compliance Issues for Your Practice"
"The Impact of Social Media on Sleep Medicine: What Steps to Take to Avoid Liability"
"Evaluating Practice Forms and Documentation"
"Recent Updates in Legal Medicine: Federal Court Rulings" and "Changes in Medicare Practice Incorporation & Tax Status in 2015"
"Crossing State Lines: Legal and Risk Management Implications of Increased Connectivity Through Telehealth"
"Key Issues to Consider When Selling and Closing Your Practice"
“Best and Worst Practices in Hospital/ Physician Alliances, Including Advanced Physician Contracting and Compensation Models"
"Telehealth and telemedicine: Surveying the regulatory landscape"
"Key telehealth considerations for health care providers"
"Stark Law and Anti-Kickback Statute: Key Issues You Should Consider to Protect Yourself and Your Practice"
"The Case for Hiring an Attorney as Your Billing Specialist"
"Starting a Practice: How to Avoid the Pitfalls"